In one version of the myth, Ares, god of war, was finally spurred to action. While we sometimes say "it's all fun and games until someone loses an eye", for Ares that's exactly when the games start to become fun. What's the point of war if no-one can die? One way or another, Thanatos was freed and Sisyphus... wasn't. He is condemned forever more to roll a giant boulder up a hill and, just as he approaches the top, watch as it rolls all the way back down again. Probably mumbling "a place for everything and everything in its place" like an obsessive compulsive zombie, he is doomed to eternal repetition. Still, at least its just the one boulder. And he doesn't have to construct it himself every time. Chin up! 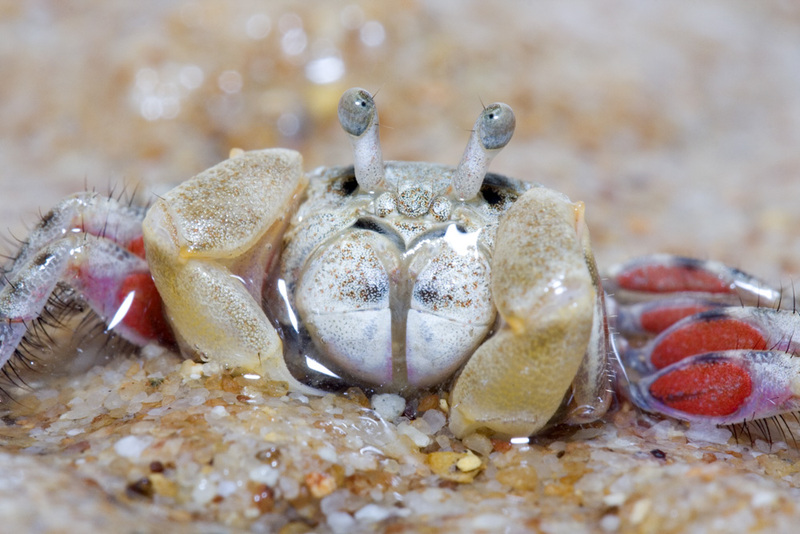 Sand Bubbler Crabs are adorable, almost spherical crabs found throughout the Indo-Pacific. There are at least 23 species spread across two closely related genera called Scopimera and Dotilla. All of them are teeny-tiny, just 1 cm (0.4 in) across or so. Much of their time is spent hidden away in burrows on the beach. They don't like too much water, yet they live so close to the sea that the entrance to their home gets completely submerged at high-tide. Staying underground means they don't get swept away and when the waters subside, activities commence. 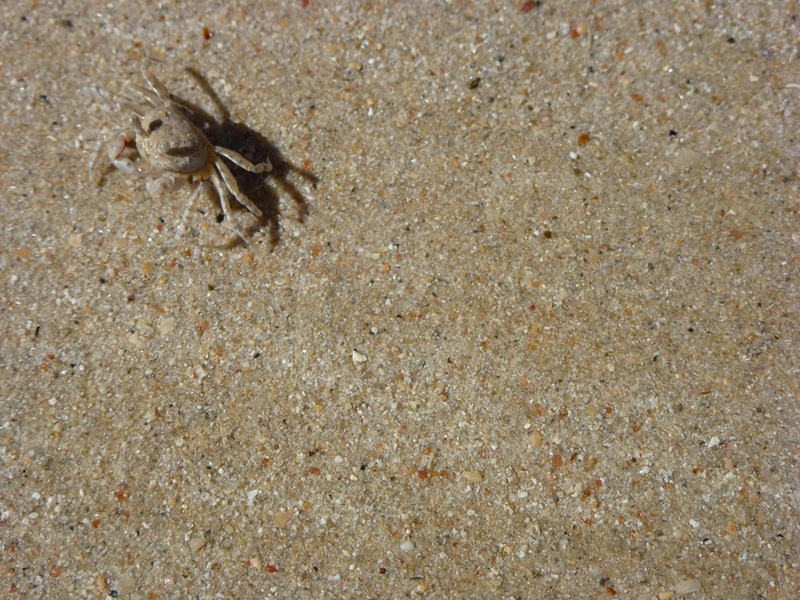 The sea waters bring a lot of tiny creatures and edible bits and bobs, much of which is stranded at low-tide. 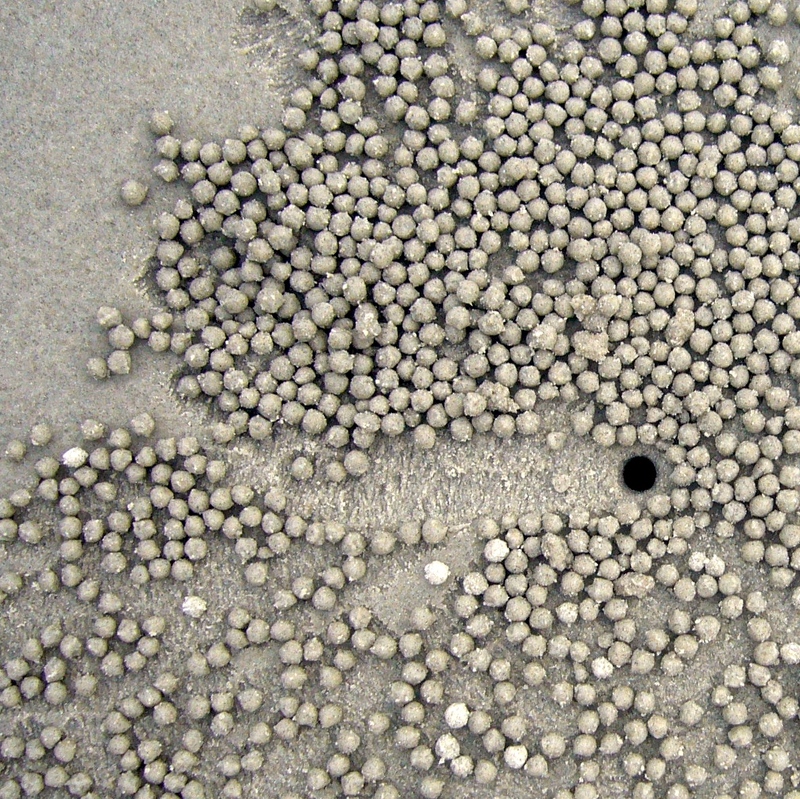 For the Sand Bubbler, the entire beach is completely covered in a thin film of food. 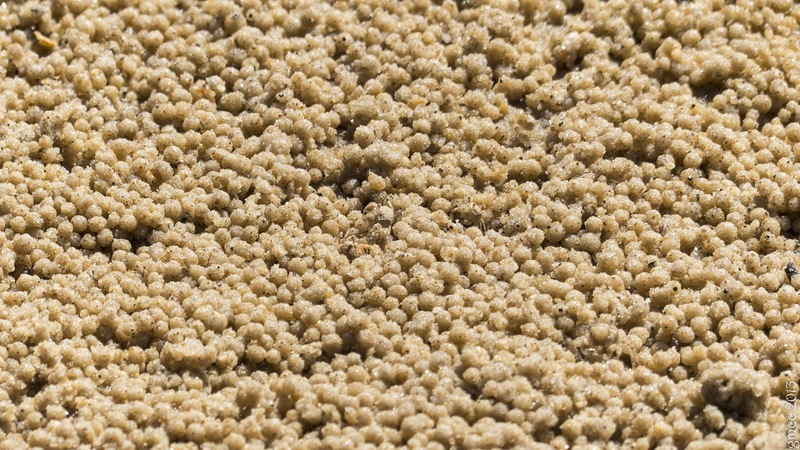 Every grain of sand might have a tasty something or other clinging to it. It's like popcorn; good enough to eat, but not one by one. That's just tedious. And so they march forth, ploughing clawfuls of sand into their mouth as they go. Food is filtered out while the rest of the sand clumps together into a small pellet which the Sand Bubbler kicks aside disdainfully. Once they've walked a few feet from the burrow, they return, only to march forth again in a different direction. Soon their burrow is at the centre of a wheel or star, the spokes are shallow ditches dug out by hard-working claws and pellets of sand lie cluttered round and about. With enough Sand Bubblers an entire beach can be almost completely covered in the strange texture of bubbles arranged in starbursts which clash and merge into patterns like sand art. And then... DISASTER! 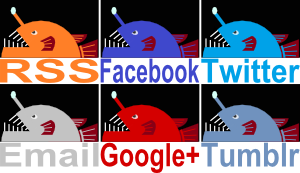 The tide turns and all crabs must retreat into their holes as cruel waters wipe the slate clean and burst bubbles by the billion. A lot of bubbles but can you see the Sand Bubblers? And it's a good thing, too. If the sea didn't undo all their work they would no doubt be bubbling up our roads, buildings and anyone who couldn't get away fast enough. These Sand Bubblers are too industrious and enthusiastic for their own good. I mean OUR own good. We've all heard of the nanobot's grey goo, but what about the bubbles? My theory is that they're actually making sand cannonballs to assault all these strange and useless fortresses that little kids keep building in their territory. @Crunchy That's delightful and sad! 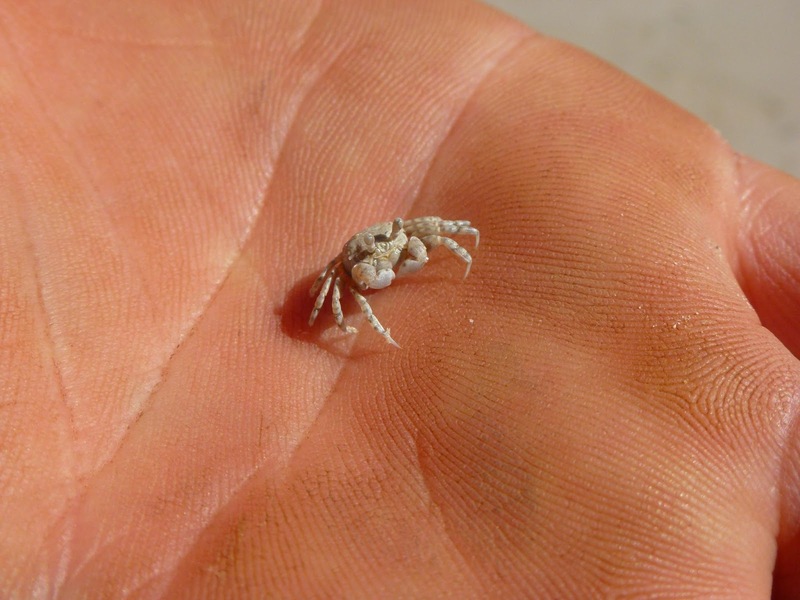 All those tiny little crabs making ammo for the giant smushy creatures, yet they never get them before the tide comes in. 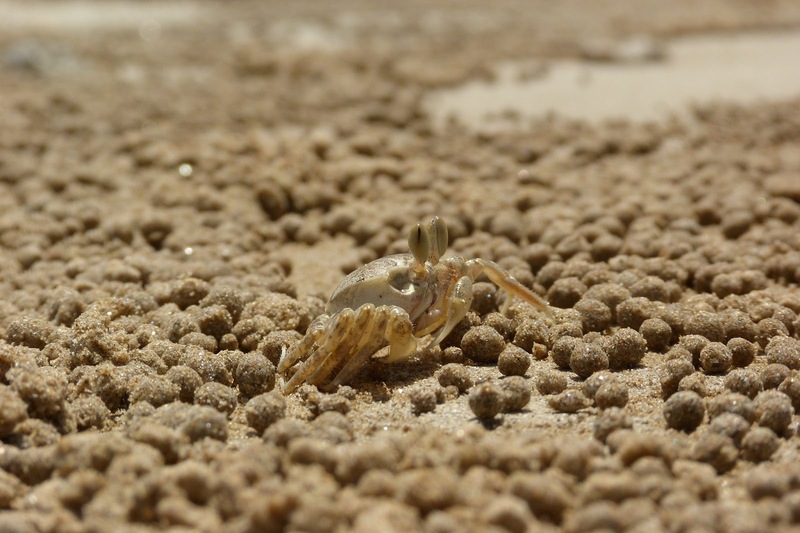 Sand Bubbler Crabs are the nicest! Haha! I wonder who's making the cannons? what do they do with those litte balls of sand ? @Crunchy: Of course! Silly question! @karim galal: Nothing! It's just detritus after they've taken all their food from it.